Feast your eye upon TV's latest Wonder Woman, as portrayed by Adrianne Palicki, for the first time. We have earlier reported on the confirmed casting of Adrianne Palicki ( Friday Night Lights, Lone Star) as the eponymous character in the much-troubled David E. Kelley's iteration of DC's much beloved comic feminine icon Wonder Woman. Now, courtesy of Entertainment Weekly, here's your first look at Adrianne Palicki in full Wonder Woman outfit. Underwhelmed? 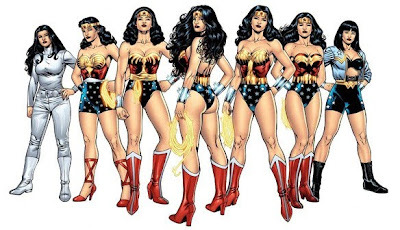 Not quite for us as we thought with all things considered based on the source material, Wonder Woman, with her historical legacy, is indeed one hell of topic to restrained from reaching full-blown campiness. 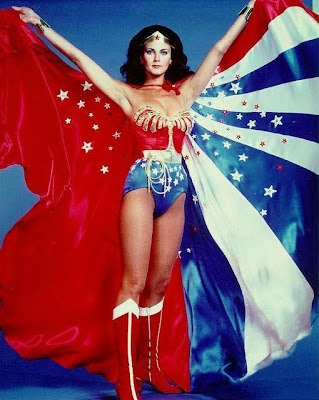 And this is particularly so with David E. Kelley confirming the inclusion of the invisible plane, and Wonder Woman's signature Lasso of Truth (which forces those bound by it to tell the truth) in the series. 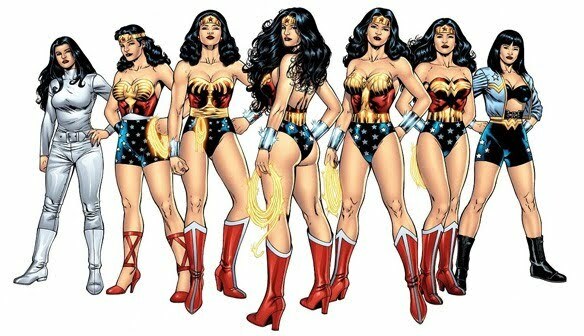 With regard to the new costume, it isn't too much of a depart from the original outfit, and is remarkably a combination between the classic Lynda Carter get-up and the new costume designed by Jim Lee in Wonder Woman #600 that was published last August. Here's the reference picture for comparison.